The Pizza Press lets hungry diners take the concept of customized pies to a whole new level with the "Publish Your Own" option. Customers also have the opportunity to choose from a Signature menu of personal-sized pizzas. The large selection of sauces, cheeses, base ingredients, vegetables, meats, and finishers are added right before the eyes of eager patrons. 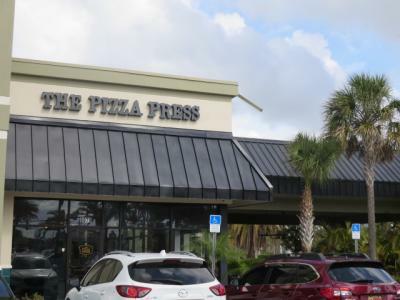 To ensure everyone can have a newsworthy meal, The Pizza Press also offers gluten-free and vegan cheese options. In addition to pizza, The Pizza Press boasts over 20 taps flowing with local and national craft beers and features a selection of artisanal desserts.